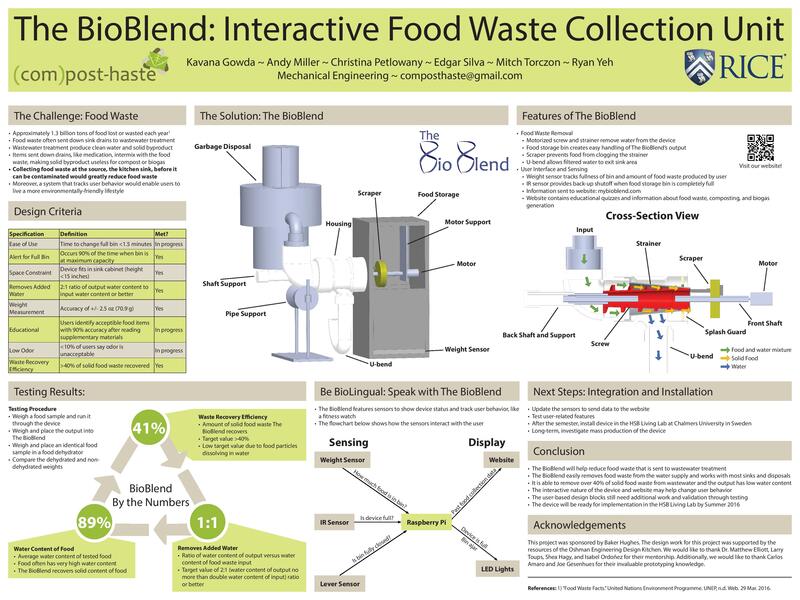 Team (com)post-haste has been tasked with creating an integrated bio-waste processing and collection system. 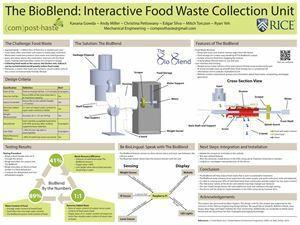 This unit will be installed under the sinks of single-family homes and will collect bio-waste and separate it from the water supply. It will help teach the users of the system to make more environmentally conscientious decisions in their daily lives.